Happy Friday! Tatiana is here today from Tatiana craft And Art! 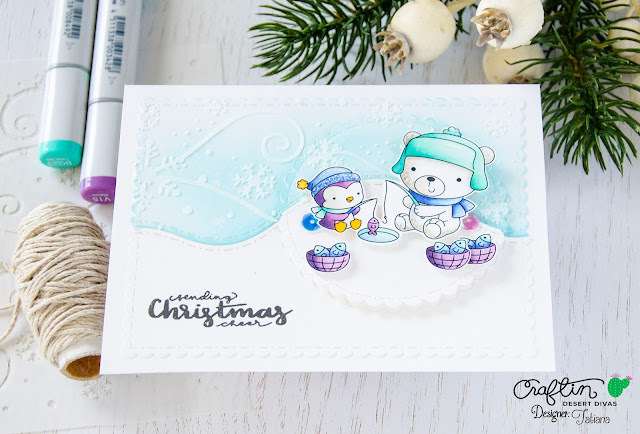 And I'm sooooooooo happy to bring you my daily post and a peek on the new super adorable ARCTIC PALS stamp set! 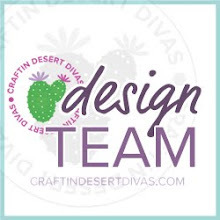 All the products from the CDD November release will be available for purchase on Friday October, 17 at Craftin Desert Divas online shop! I mixed and matched a few CDD products creating the layout with a circle focal point on this card to get more use of the dies and the stencil I already have in my stash. 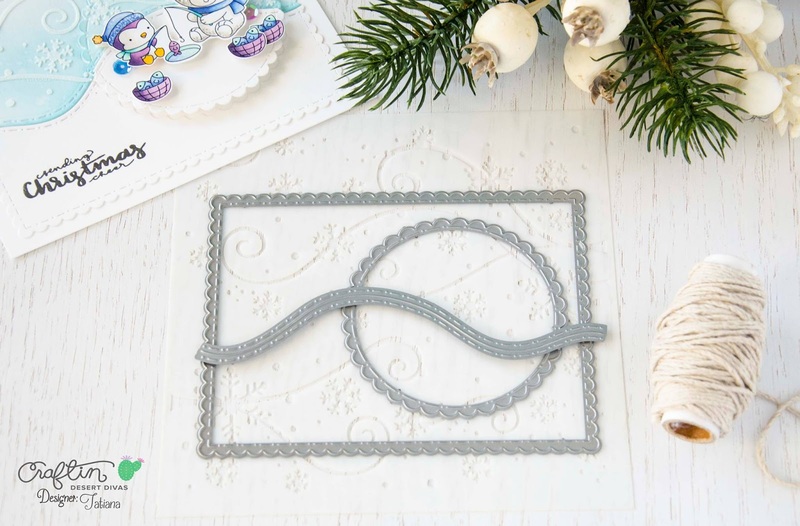 But if you're new to the cardmaking and don't have all those fancy products yet, please, read this post because I'll be giving the alternative ideas on how to create the same layout. Die-cut a scalloped rectangle using Fancy Frame Dies or simply cut it out with your trimmer or scissors. The rectangle should be slightly smaller then your card base. 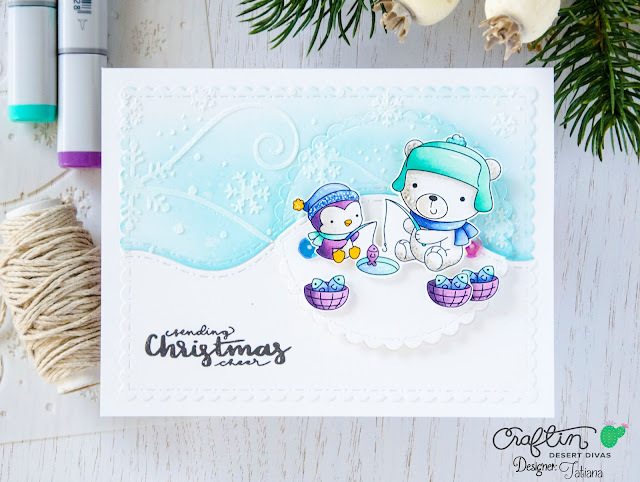 Die-cut a scalloped circle from Stitched In Circle Dies inside the rectangle or simply fussy cut it apart with you scissors. Use anything that have a round shape to achieve a perfect circle like a glass, for example, and trace around it a pencil line to help you at this step. Use a decorative scissors to achieve a fancy border on the rectangle and the circle. Put the die-cut circle back in the negative place and secure it with a non permanent tape to keep it in place while you die-cutting the stitched border from Fall Border Dies or adhere the hand cut circle into the desirable position with a non permanent glue and use a cutter knife for a wavy line. Add color to the die-cut parts above the wavy lines transforming them into the sky portion. I used a light blue ink and an ink blending tool for that, but you can use any color media you have on hand and let everything dry. Keep the bottom part simply white and stamp the sentiment in the bottom left corner. Stamp, color with any media of your choice and fussy cut the cute critters from Arctic Pals stamp set. I used here copic marker. Scroll down to the bottom of this post to see all the exact colors I used. Once dried, apply the snowflakes to the sky portion through the Snowflake Flurries Stencil or simply draw you own with a white gel pen. Start assembling the card. Adhere the rectangle piece straight to the card base. Pop up the top part of your circle on a foam tape. Then double the foam tape for the bottom part of the circle and finally pop up the colored stamps on top. Need more inspiration? 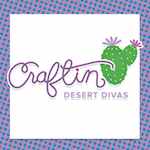 Please, check Craftin Desert Divas Event Page on Facebook for more amazing projects and sneak peeks from the Design Team, freebies and awesome giveaways! As always thanks so much for stopping by! Your card is a true delight ! !